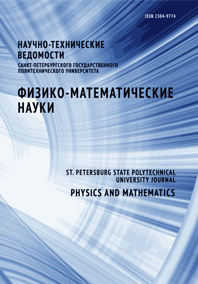 Drobintseva Anna O. Matyushkin Lev B. Aleksandrova Olga A. Drobintsev Pavel D. Kvetnoy Igor M. Mazing Dmitrii S. Moshnikov Vyacheslav A. Polyakova Victoriya O. Musikhin Sergey F.
The CdSe and ZnSe:Mn colloidal quantum dots (QDs) have been synthesized in order to use them as a contrast agent for bioimaging. The synthesis of QDs was made in the aqueous solution. These compounds are fluorescent semiconductor nanoparticles and are held to be promising fluorophores which can be used asan important research tool in biology and medicine. They can be exploited to allocate the problematic biological tissues and individual cells. Their applicability to human examination was studied. For this purpose we investigated the morphological changes in the cells by reacting with the CdSe / L-Cys and ZnSe: Mn / MPA quantum dots. The cytotoxicity of CdSe / L-Cys in the line of breast carcinoma was examined using confocal microscopy. The results can be seen as encouraging.